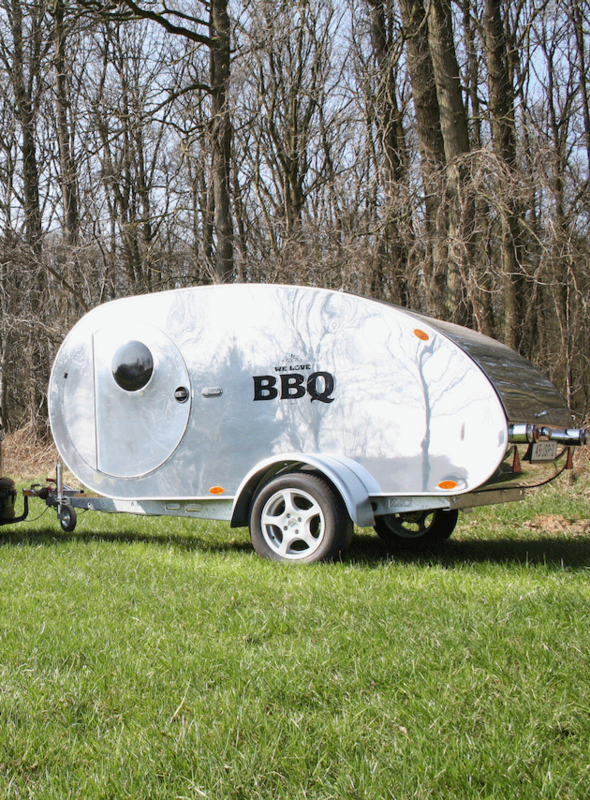 The FunTear Silver Bullet Teardrop is our ‘tear’ shaped mini-caravan made for tailgating!. It is one of the oldest caravan concepts in the world and popped up is in the 1920s in American magazines. FunTear builds it’s FunTear Silver Bullet Teardrop with a catchy contemporary design. The FunTear Silver Bullet base design is build as a shell starting at € 14,995.00 (ex. VAT) and with interior starting from € 16,995.00 (ex. VAT). Please allow a lead time of about 16 weeks! Our showroom is open by appointment at a time that suits you!